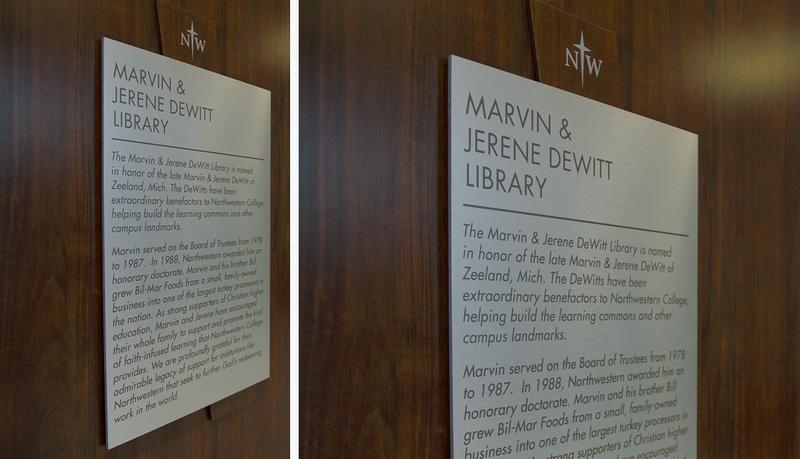 The DeWitt Learning Library located on Northwestern College’s campus provides students with a state-of the art space for learning, studying, and collaborating. 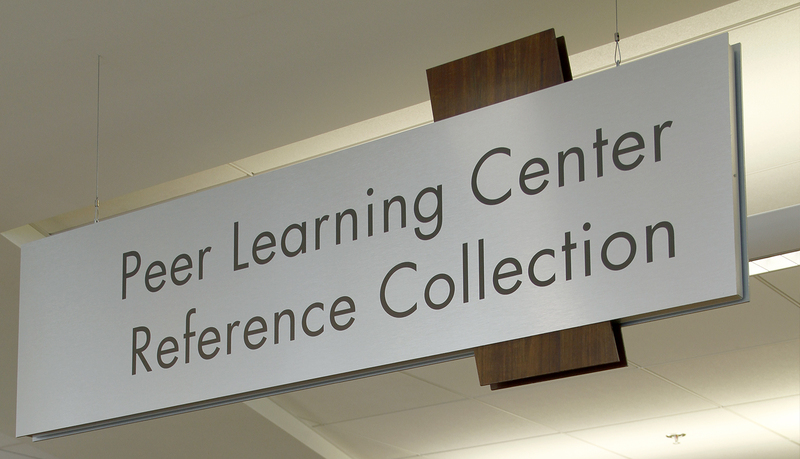 The library and study center is home to a large reference library that includes more 80,000 books and 75,000 journals and magazines, computer labs, a Peer Learning Center, and a small coffee bar. 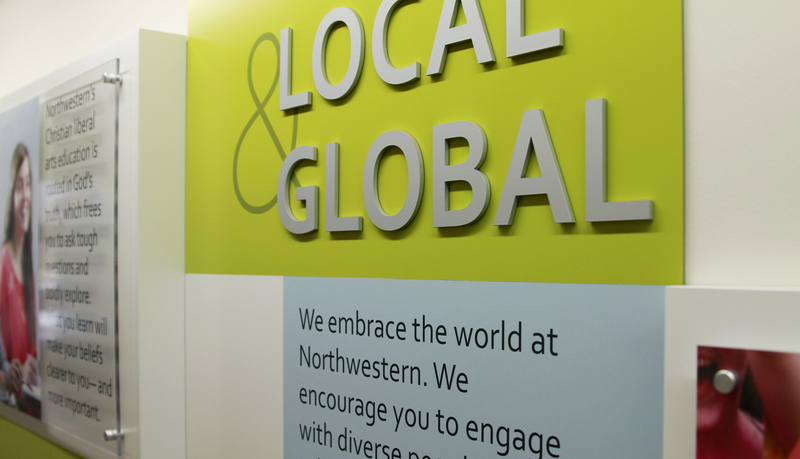 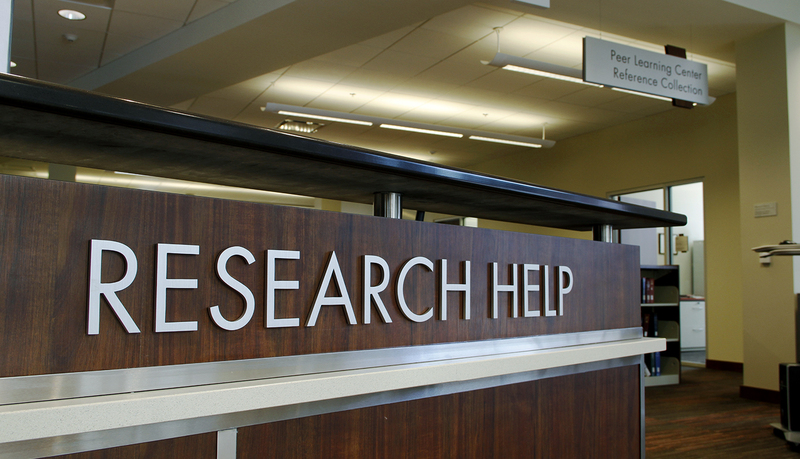 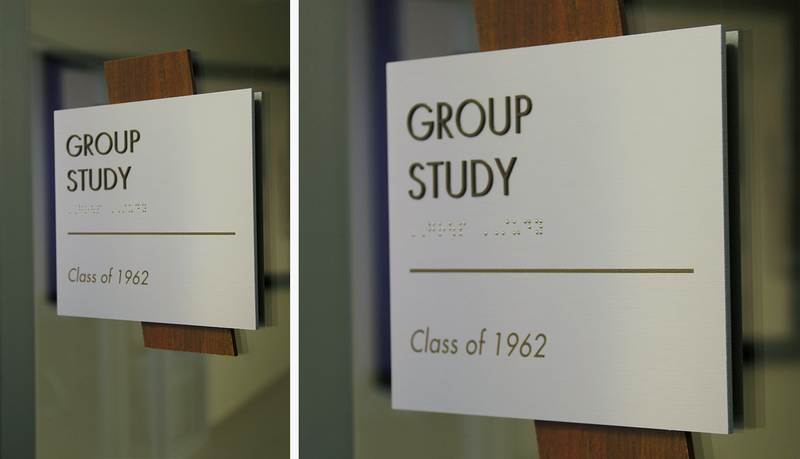 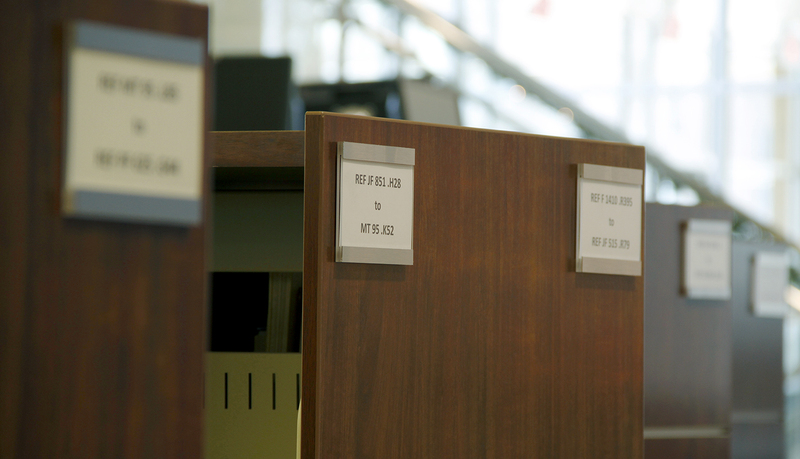 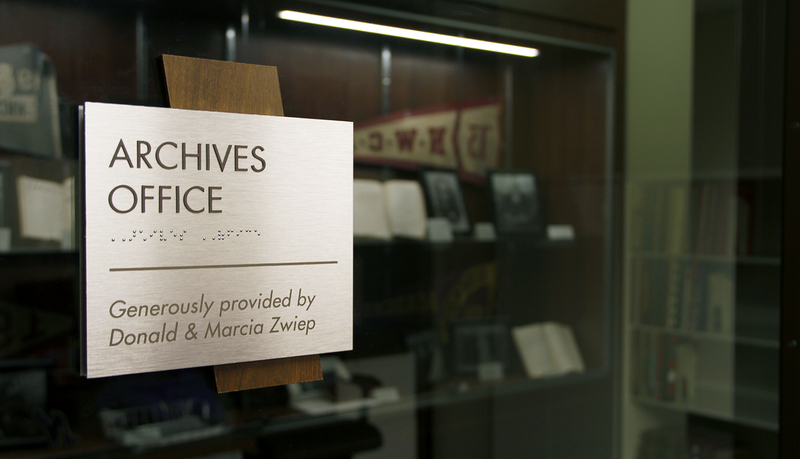 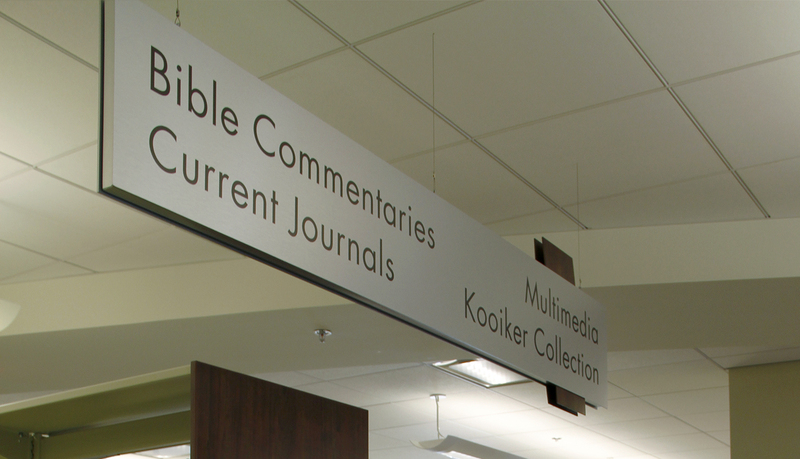 Working with the Northwestern team, ASI sought to design an interior signage solution that integrated effortlessly with the Library’s atmosphere and complemented the modern design aesthetics and hints of historical detail. 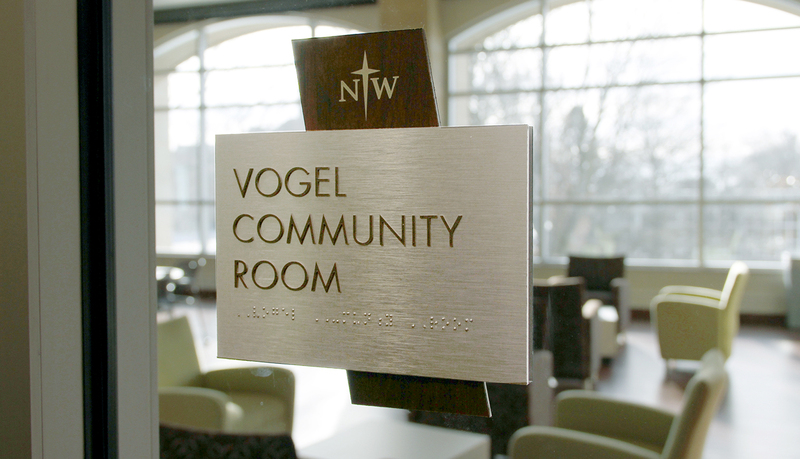 The solution was to incorporate into the sign system the brushed metal and wood laminate present in the building’s interior, creating a more unified space. 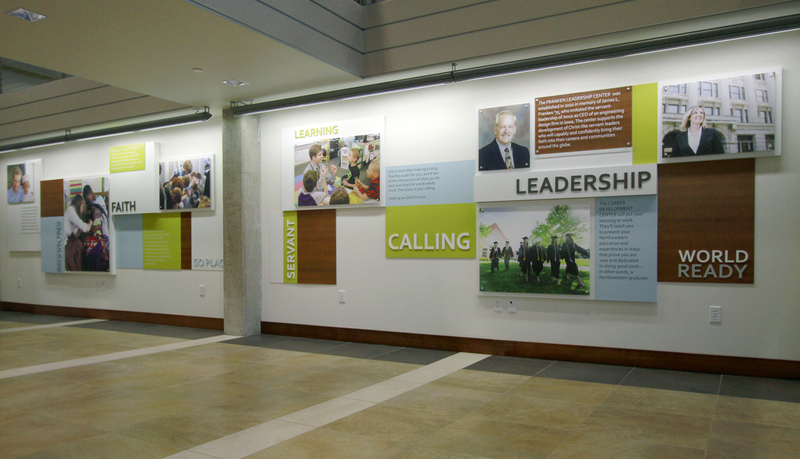 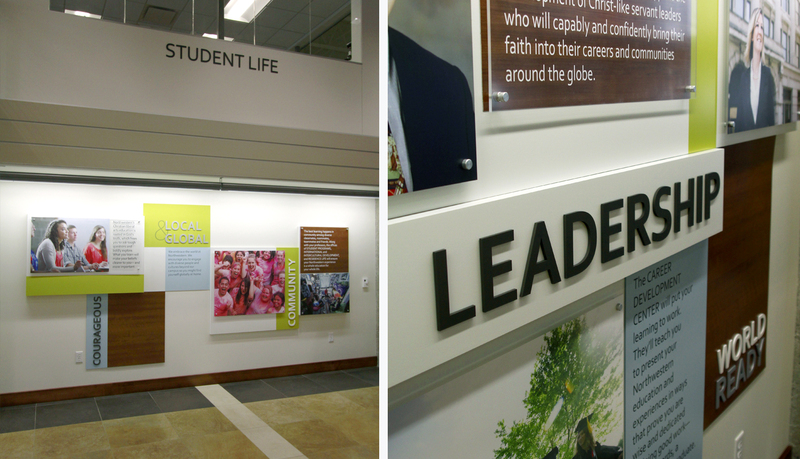 Large windows, wood paneling and décor, and a slanted main corridor provided inspiration when designing the interior signage and the stunning laser-etched, edge-lit, glass-like donor wall that was custom designed by the team at ASI, Nebraska. 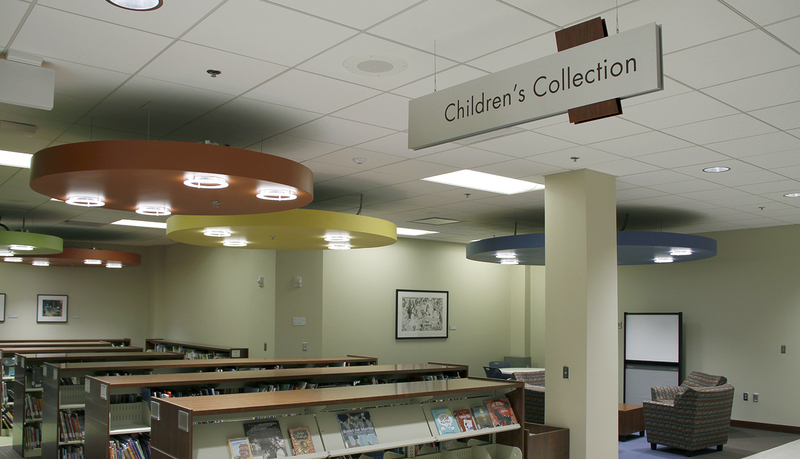 Furthermore, the ASI team was able to value-engineer the project to fit within the financial requirements and maintain the high-end aesthetics without compromising on quality. 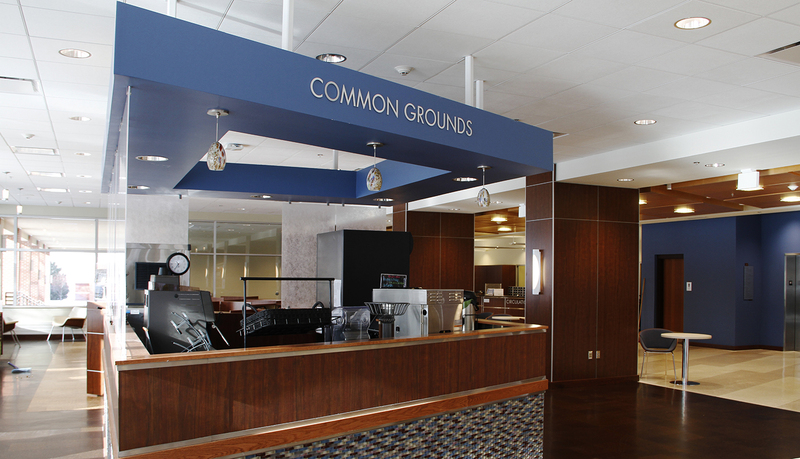 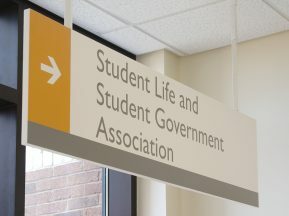 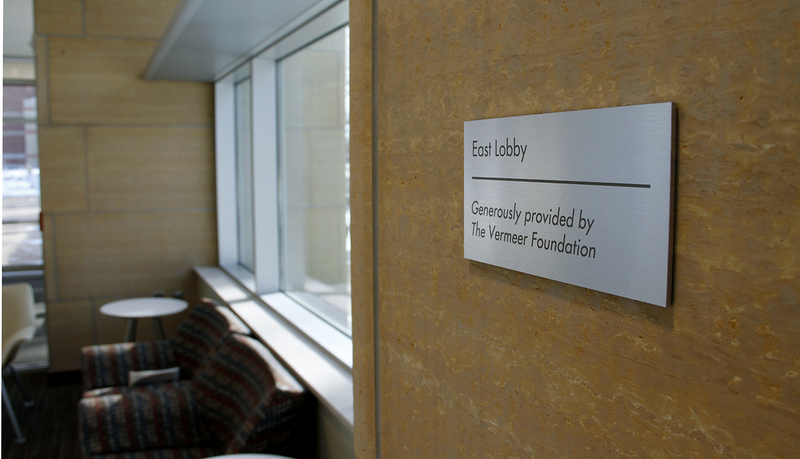 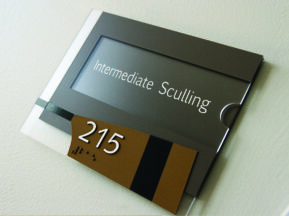 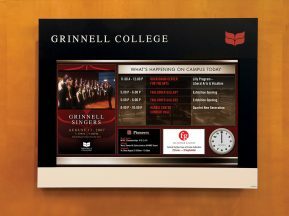 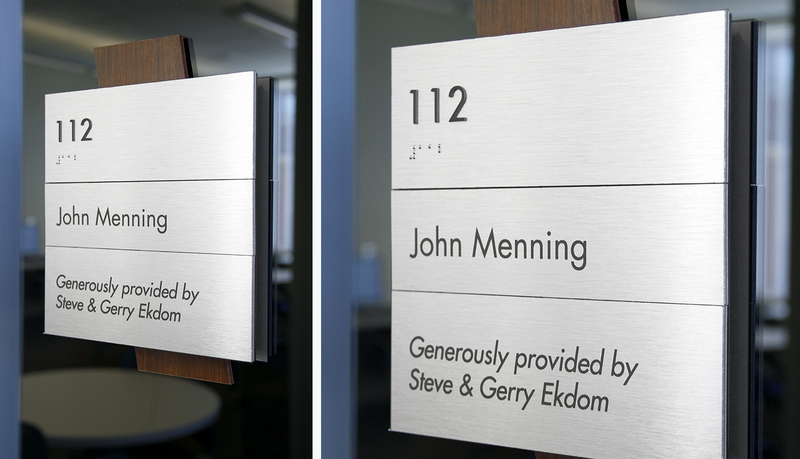 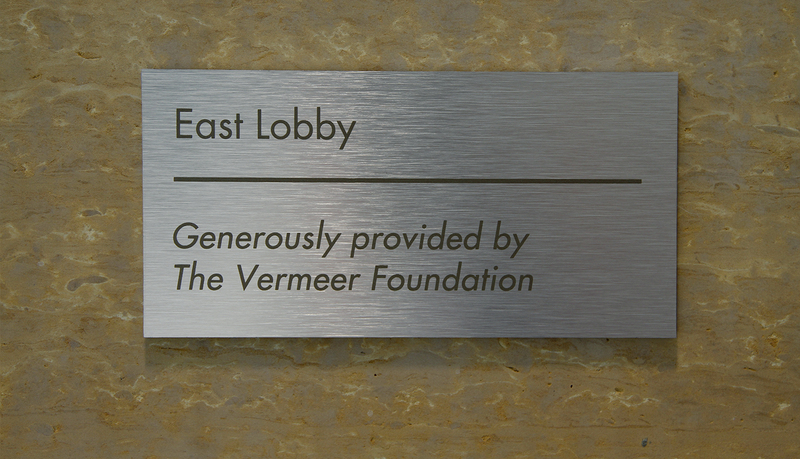 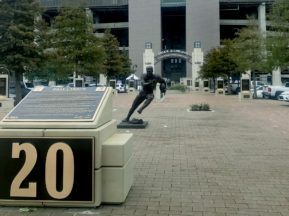 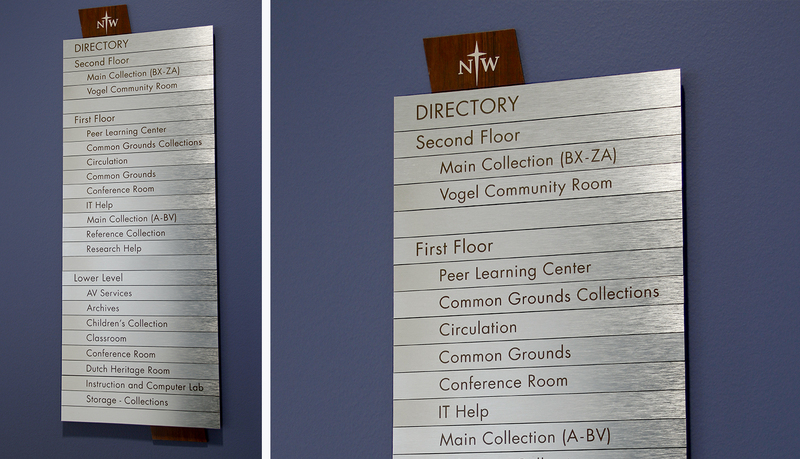 Throughout the building, a comprehensive sign system was developed to include; wayfinding, room signs, directional signs, elevator directories, book stack signs, area identification overheads and individual donor plaques.